The outspoken vice-speaker of Iran’s Parliament believes that Tehran should not be worried about allowing the European Union to open an office in Iran, and even should welcome the criticisms of its human rights conditions. 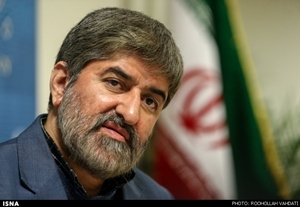 Ali Motahari, the Vice-Speaker of Iranian Parliament, referred to the recent talks and controversies over the European Union’s decision to open an office in Tehran, saying such offices have been opened in other countries as well, and it is not limited to Iran. “There are EU offices in many countries, and we can also have an office in Europe,” Motahari said, as reported by ILNA and translated by IFP. He further pointed to the concerns in Iran about the opening of EU office, and said, “The main concern is about the possibility of their interference in Iran’s human rights conditions. “We should also constantly observe the human rights conditions in Europe, because there are many cases of human rights violation in Europe as well. Therefore, the observation of human rights should be a mutual behaviour: As they observe us, we should also observe their behaviour and express our protests,” he noted. “What matters here is that if there is a valid criticism, we should not resist and should accept it,” the Iranian lawmaker added. However, he added, if their office is going to comment on human rights issues, Iran should do the same in dealing with European countries. “A ruling system that has a good popular base should not be worried about the opening of such offices,” Motahari added. He pointed to the upcoming human rights conditions between Iran and Europe, saying that Tehran has basic differences with the West in terms of human rights. “Wherever we have differences in principles, it cannot be resolved. These cases include the death penalty, and generally the Sharia-based rulings,” he said.